Candy 2018, best classic match 3 candy puzzle game,with HD graphic and hard challenge! 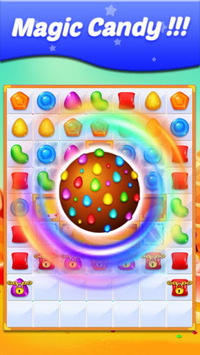 Candy 2018 is an addictive,excited and amazing Candy fever classic match 3 with many colorfun candy.Let' try unlock all our levels and become winner. 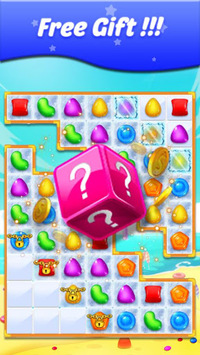 - Match 3 candys,that is same color to destroy block,cany and get starand score. 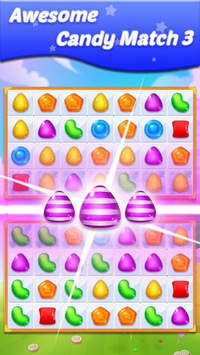 - Match 4 candys to make a special boom candy, that candy can destroy many candys in big area. - Match 5 candys follow I, T, L shape to make a best special candy, that can desstroy all candys same color,you only swaps it with any candy. - when all block were been destroyed, a special star will appear, your have to destroy candys to macke special star drop to bottom. You Win! - You can see short Ad video to unlock all levels,and get more hint. - Level is more challenge through more 500 levels when you got high level in arcade mode. - Many effect in this game: lighting, thunder, boomb..
Candy 2018 now is really available on Google Play Store. Candy 2018 is easy in first level but really hard challenge when you got high level. Let's download game and match 3 candys to complete your mission. Drop Candy Star or Gameover. Thank you for watch us until here. We wish you have great time to relax with Candy 2018,It will be training your brain and also you can play with your families and friend. Finally please give us your feedback,It will help us develop Candy 2018. Thankyou very much!